EVERYTHING FROM A - Z. Awards, trophies, giftware, promotional item, clothing. Put your picture or logo on any item we carry. We can put your images or logos on hundreds of products. High quality sublimated items that will last for years. 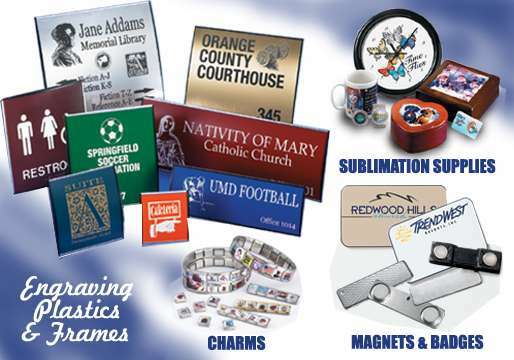 Many items make great gifts, promotional items, the ideas are endless.